After two whole months we have finally finished reading our first book of the month. Some of you may still be catching up if you haven’t finished already, and I hope that as you finish you begin to have a better idea of what you want you life to look like as a disciple of Jesus. I had watched a video series that Jeff Vanderstelt had done on everything covered in this book, so in some ways I felt as if none of the information was new. And yet, being familiar with the material didn’t lessen the impact it had on me while reading these thoughts for the second or third time. After I watched the videos (about twenty-five in all) I remember thinking, “How can I get every person in our church to watch these videos?” It is such good stuff, but with each video being twenty minutes long it would take quite a while for an individual or a group to get through it all. This book helped answer my question. After reading the entire book I can wholeheartedly say that this is a wonderful and helpful book. It is a somewhat condensed summary of the best parts of that video series and so I am very happy to be able to recommend the book for those who don’t have enough time to watch the videos. I hope that many of you read, but if not, please pick it up and take some time to take in the content of this book. The final part of the book, The Everyday Stuff, was by far the most challenging for me personally. So many stories were shared that were both moving and unsettling. The commitment that the people in Jeff’s missional community (ie. small group) had was really something that at times made me feel uncomfortable. I had to ask myself a number of times why I was feeling that way, and it may come down to the fact that we just don’t see people living that sacrificially and that on mission very often. When we do, they almost seem like they are in a cult or something. When I read about what Jesus had done through ordinary, everyday circumstances I was definitely affected. I hope that you all were too. By the way, this “everyday life on mission” stuff can be unpredictable or messy. I often share that if it isn’t messy here and there, you are likely not yet on mission. If you are becoming friends with people who don’t yet know and love Jesus, you are going to be invited into experiences that may be very different from what you’re used to. Is it worth it though? Is it worth it to be so intentional about your schedule, money, time, etc? Is there something bigger than just our own day-by-day life maintenance that we do, trying to hold on to what we have? The answer to these questions is yes, but it is hard to move forward. Do we live in a way that demands a “Jesus explanation” as Jeff writes? Are we being lights in a dark place, not just because of what we say, but because of what we do? These are all questions that these last chapters have brought up in my mind. We need others around us to help us to live this way in the world. I don’t think it would hurt if our small groups had covenants that they made together regarding how they want to live, who they want to serve, and who they want to reach. I don’t think it would be a poor use of time to spend more time together eating, celebrating, praying, and serving. Even the idea that these communities (small groups) have a laid out mission plan for a specific people is a great idea. 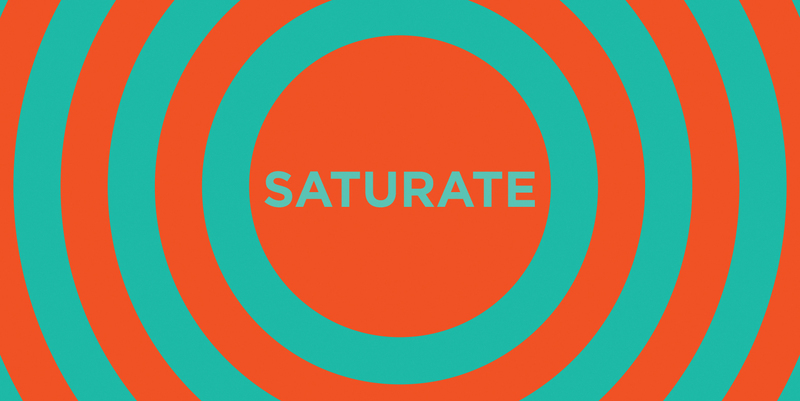 It is far too easy to just become internally focused and saturated by each other rather than do both that and saturate the lost with the message of Jesus. There are a lot of obstacles that we face that would keep us from really living lives for the glory of God and the advancement of the gospel. How do we do this with young kids? How do we do this when all we do is work, work, work? What about “me time”? What if I’m an introvert and seeing people all the time would wear me out? These are all valid questions, and yet I hope that we can apply to faith to all of these obstacles and believe God for the things he wants to do through normal people like ourselves. There may be things we have to say no to in this world in order to say yes to God, but much of our lives can probably still exist. Even the idea of living the normal Christian life with other believers and bringing unbelievers into your world has ramifications. It will create awkwardness, and it may even make some of you feel like you can’t be yourselves. Remember, we want people to see and experience Christ through us, and we can do that through typical things. We don’t need to do extravagant things together. We need to learn to follow Jesus and help one another to do that. If an unbeliever is a part of that, who knows what God could reveal to them through your little group? …Surrender to Jesus. Devote yourself to his mission. Remember and live in light of your new identity. Get on mission with a small group of people. Covenant together to sow seeds to others in the everyday rhythms of life, and watch the movement ripple out of your life until the whole earth is saturated with the good news of Jesus. If you are interested in using the Story of God that Jeff mentioned in this final section you can find that here. If you are interested in using a missional community covenant in your group, you can get samples here and here. We will begin the next book in July, and I think it’s going to be a helpful one. More information to follow.